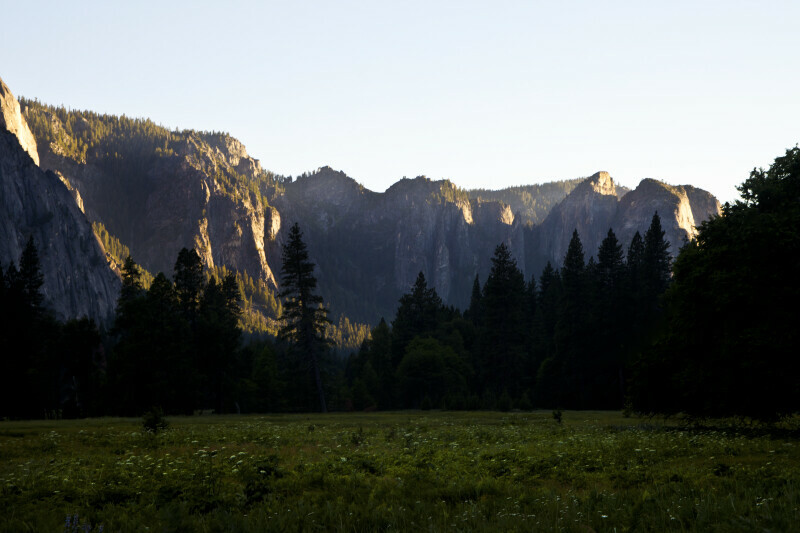 This picture shows the Yosemite Valley, in the early evening. The valley floor is shaded, but there is sunlight on the valley wall. To the far right, Cathedral Rocks can be seen.